Unlike the capers in classic Aussie lawn bowls flick Crackerjack – very probably the greatest Aussie lawn bowls flick ever made – the story to be found at Flemington-Kensington Bowls Club these days isn't so much on the green. Instead, it's in the bar. While antics are yet to reach the comic heights of Mick Molloy’s lead character Jack Simpson, much like Simpson the management have certainly taken matters into their own hands when it comes to the contents of the bar fridges. 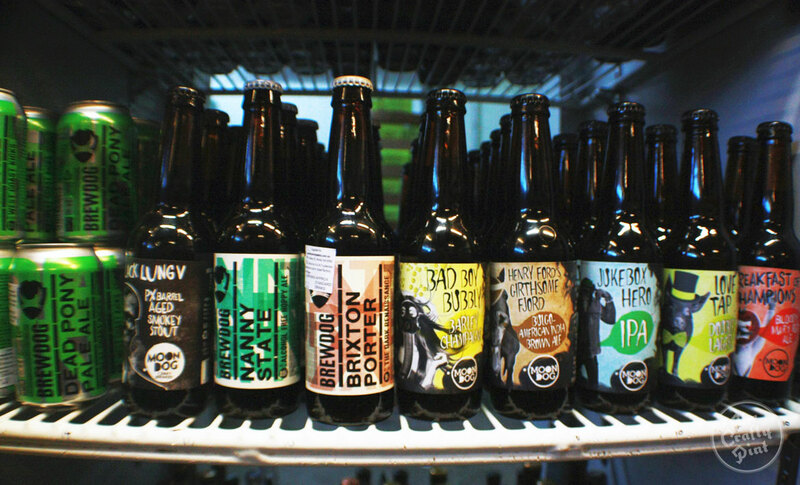 Instead of the usual suspects like VB, Toohey’s, XXXX and the occasional cider you might expect to find at your local club, their fridges are heaving with Mornington, BrewCult, La Sirène, BrewDog and plenty more. Club president Davydd Griffiths has been part of the group of bowls playing beer lovers which has led a sea change at the club, slowly infiltrating the bar’s fridges with an ever-growing list of craft beers. Things have ramped up considerably in the last 12 months, as craft beer has turned into something the club can hang its hat on. “There’s a few of us who love good beer and wanted to find a place where we could drink it and do everything else, but it’s also about making this stuff accessible to our community in Flemington and Kensington,” says Davydd. Bowls clubs have had to find their own way to differentiate themselves and keep people coming in the doors for more than just bowls, Davydd says. Instead of pokie machines or running endless fundraising activities, craft beer has risen as the right fit for the Flem-Ken crowd. It’s something that has also worked to a phenomenal degree at the Petersham Bowling Club (The PBC) in Sydney, where craft beer and live music is the beating heart of a club that hasn’t forgotten the importance of traditions such as meat raffles and political meetings either. 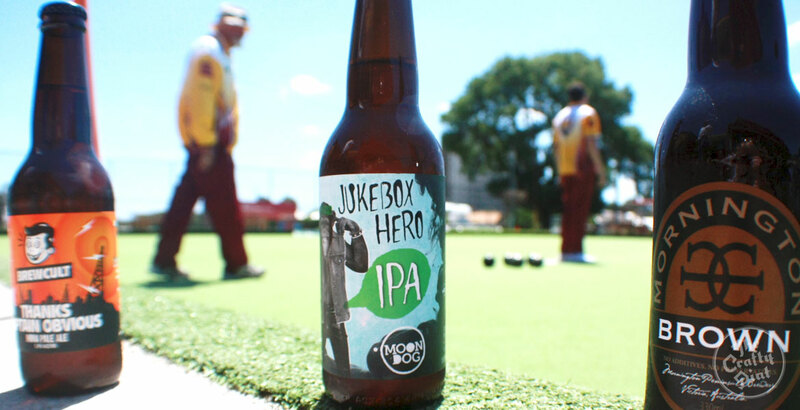 And, at this month's WA Beer Week, North Fremantle Bowling Club hosted a Barefoot Bowling event with craft beer front and centre (while Crafty contributor Guy Southern did a spot of Craft Beer Rising-inspired spruiking at the Yokine club back in February) . That desire to bring the craft to the community has culminated in a series of brewer’s talks hosted at the club, which, like many good beer events, was the brainchild of a group of mates yarning over a few cold ones. Not long after that, Davydd got in touch with a number of Victorian brewers about coming to speak to club members and locals about their beers, while keeping costs as close to usual bowls club prices as possible. 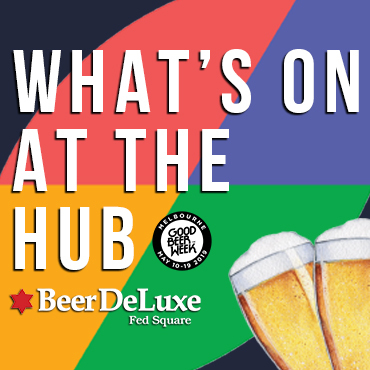 Since the first session in July, when they played host to loveably weird Melbourne brewery Moon Dog, the series has included La Sirène, Mornington and, most recently, more than 150 people came in to hear from BrewCult’s Steve "Hendo" Henderson. Hendo was approached by Davydd (pictured together right) early in the piece, and after it became apparent just how passionate Davydd was, he presented to the club on Melbourne Cup Eve. 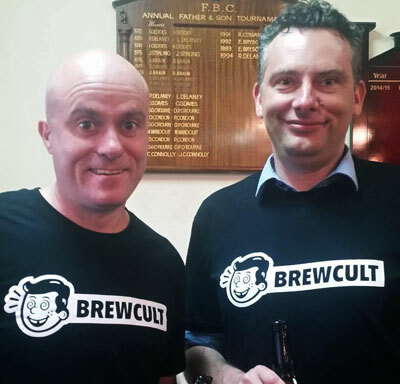 While there are clear benefits for the club in getting brewers to speak, it offers Victorian breweries the chance to meet a room of potential new customers as well. While Dayvdd and the rest of the Flem-Ken volunteers have long-term goals to get involved with events such as Good Beer Week and other festivals, their limited budgets mean advertising of club events is restricted to social media. So far, that method seems to have served them well. “Word-of-mouth now takes the form of Facebook or Twitter,” says Davydd. But despite their clear commitment to craft – which has included a recent $30,000 investment in new refrigerators for the bar – it is clear bowls will always sit at the heart of Flem-Ken. “We still have people drinking Draught in the front bar and we’re not going to get rid of that. That’s part of what the club is as well,” he says. Flemington-Kensington Bowls Club can be found at the corner of Smithfield and Racecourse Roads in Flemington and is open seven days a week for social barefoot bowls and members. Their next Brew series event is a Thanksgiving themed American beer celebration on Sunday, 29 November at 2pm. Tickets will be on sale soon; for now you can keep an eye on the Facebook event. Do you know of any clubs getting crafty and thriving? 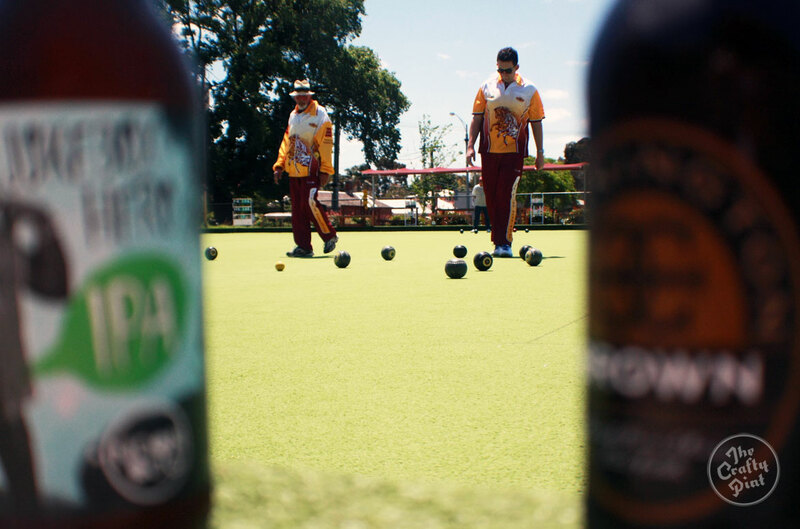 We've heard noises about Brunswick Bowling Club and Newport in Melbourne, and of a couple "dabbling" with craft beer on the odd tap around Sydney. 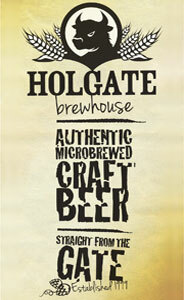 If so, drop us a line at crafty@craftypint.com.